Children with ADHD who carry a specific type of dopamine receptor gene respond better to the drug methylphenidate (MPH) than those without the genotype, according to new research from Cincinnati Children's Hospital Medical Center. The findings come from the first-ever placebo-controlled pharmacogenetic drug trial for Attention Deficit/Hyperactivity Disorder in school age children to evaluate variants of the DRD4 dopamine receptor gene using teacher ratings of children's symptoms. 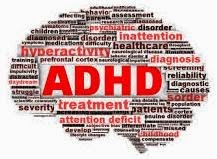 The research makes progress toward ending the guesswork now involved in prescribing effective ADHD medications that deliver the greatest symptom improvement and fewest side effects, according Tanya Froehlich, M.D., a physician and researcher in the division of Developmental and Behavioral Pediatrics at Cincinnati Children's. "We don't have a good way of predicting who will experience great improvement in ADHD symptoms with a particular medication, so we use a trial-and-error approach. Unfortunately, as a result finding an effective treatment can take a long time," Froehlich said. "With more information about genes that may be involved in ADHD medication response, we might be able to predict treatment course, tailor our approach to each child, and improve symptom response while decreasing health care costs." The study was presented at the annual meeting of the Pediatric Academic Societies in Vancouver, Canada. Dr. Froehlich and her colleagues tested 89 children between the ages of 7 and 11 who were not already taking stimulant medications for their ADHD. The researchers analyzed DNA from saliva samples to see if the children carried the 7-repeat version of the DRD4 gene, an increasing target of ADHD gene-based studies that has been linked to increased risk for the condition. Children in the double-blind four-week trial were given one week each of placebo and three different doses of MPH for their ADHD. Parents and teachers assessed and scored the children's behavioral symptoms based on the Vanderbilt ADHD Parent and Teacher Rating Scales. In children with at least one copy of the 7-repeat DRD4 gene who took MPH, teachers reported greater improvement in symptoms with increasing doses compared to children who did not have any copies of the 7-repeat gene. Going forward, Dr. Froehlich said researchers will be studying additional gene variants and their relationship to ADHD medication response. This includes genes that encode MPH drug targets, such as the dopamine transporter, as well as enzymes that help the body metabolize the drug. MPH (which goes by several brand names, including Ritalin and Concerta) is a stimulant frequently used to treat ADHD.